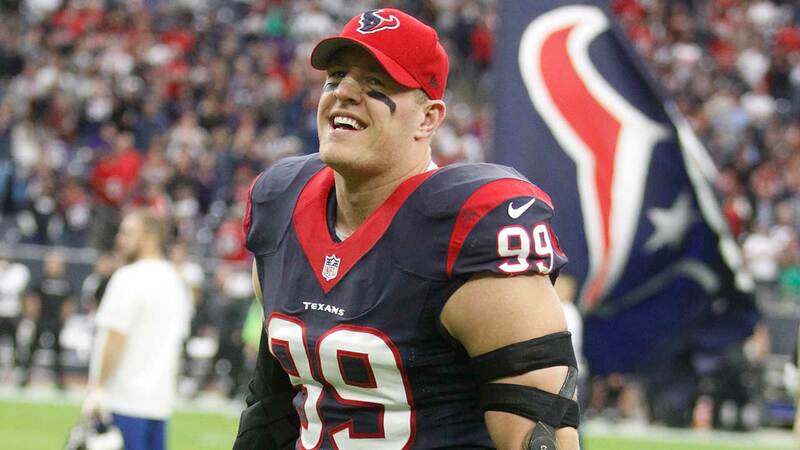 HOUSTON (KTRK) -- The honors keep coming for the Texans JJ Watt. On Tuesday, he was named the AFC Defensive Player of the Year by the NFL 101 Awards. NFL 101 has annually recognized outstanding achievement in pro football voted on by a section committee of the national media. The honor is just the latest for Watt, who was named a Pro Bowl captain, the Bert Bell Professional Football Player of the Year by the Maxwell Football Club, Associated Press All-Pro First Team, Pro Football Writers of America Defensive Player of the Year and to the PFWA All-NFL team. Watt was also named AFC Defensive Player of the Month twice during the regular season. The star defensive end's eye-popping numbers this season included 78 tackles and 20.5 sacks. He accounted for 32 points on three receiving touchdowns, a fumble return touchdown, an interception return touchdown and a safety. Watt led the NFL with 50 quarterback hits, 29 tackles for loss and five fumble recoveries and ranked second in the league in sacks (20.5), tied for second in defensive touchdowns (two) and tied for third in forced fumbles (four).